Everyone at home is planning a big party for Dora's birthday. 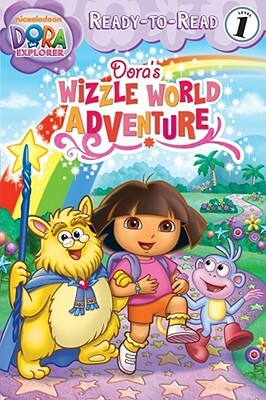 But Dora and Boots are stuck in the magic storybook in Wizzle World. The only way for Dora to get back home is to find the Wishing Wizzle, who can make any wish come true. Join Dora and Boots on this special and exciting birthday adventure, featuring colorful rebus icons throughout!